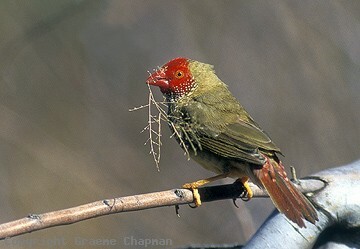 663001 ... Star Finch, female. 663005 ... 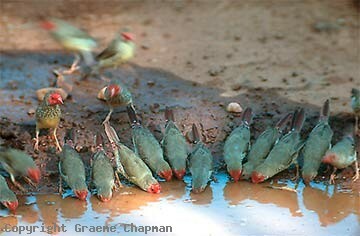 Drinking at a puddle by the roadside in the middle of town, Fitzroy Crossing W.A. 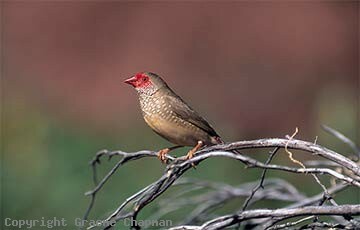 663202 ... Star Finch, male, Carawine Pool, W.A. 663203 ... 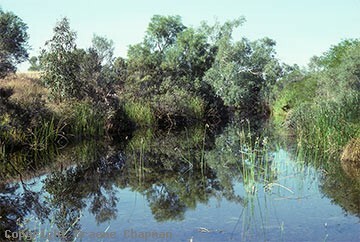 Ideal habitat near Marble Bar W.A. The best place to see them is around Fitzroy Crossing.